I am attracted to paper—especially old paper. This attraction often finds me flipping through old photos, old postcards, old magazines, and old books. When I was a kid, my dad and I used to spend every Saturday morning at Powell’s Books in downtown Portland, looking at old books, and several nights a week we’d go to the library to read and escape the noise called “family life” back at home. Looking at any old pieces of paper was often a thrill to us, and it wasn’t uncommon to find us smelling book binding glue—but that is a whole other story for another time. 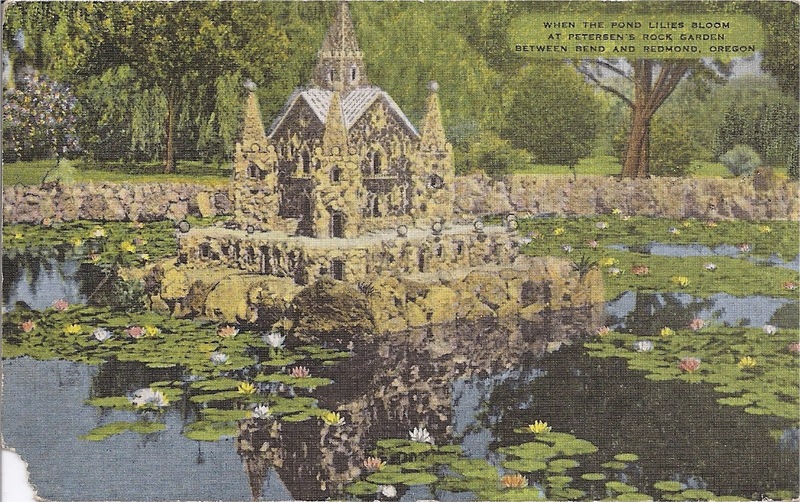 Postcards of places that I have never heard of always give me a thrill, especially when they are still around. In this case, I now have a rock garden to visit when the weather warms next spring. Maybe not all gardeners love rocks as much as lapidarists or geologists, but many of us love them a lot, and when we are able to collect large specimens, we will add them to our gardens. 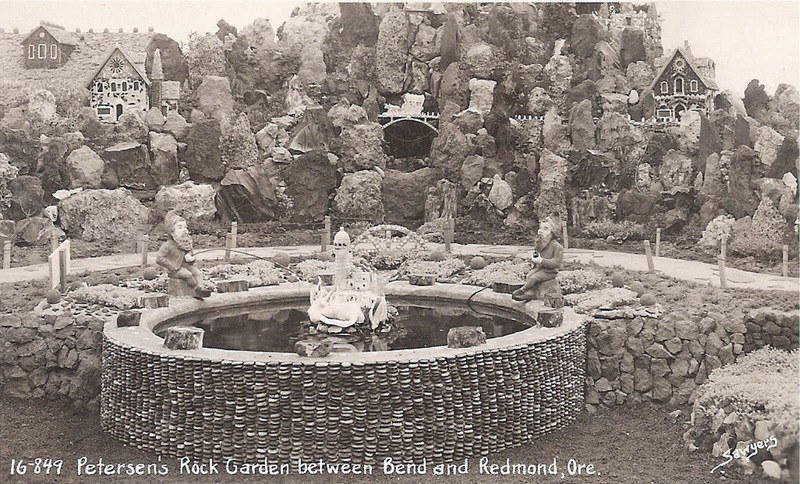 This place if more rock than garden, but it looks like a lot of fun and I tip my gardening hat to the man who made it! Anyone with that much passion and a penchant for obsessive behavior is ok in my book. If you’d like to see the garden today, here’s a link! My Dad was born and raised in Bend Oregon and I have been to Petersons. It is a wondrous place if you love rocks. I been there in the last year. This place reminds me of Ava Maria Grotto, located in Cullman, Alabama. It's a beautiful park showcasing the work of a monk who recreated many historic shrines in miniature using stone and concrete. By the way, I love Powell bookstore! You are fortunate to be close so you can visit often. 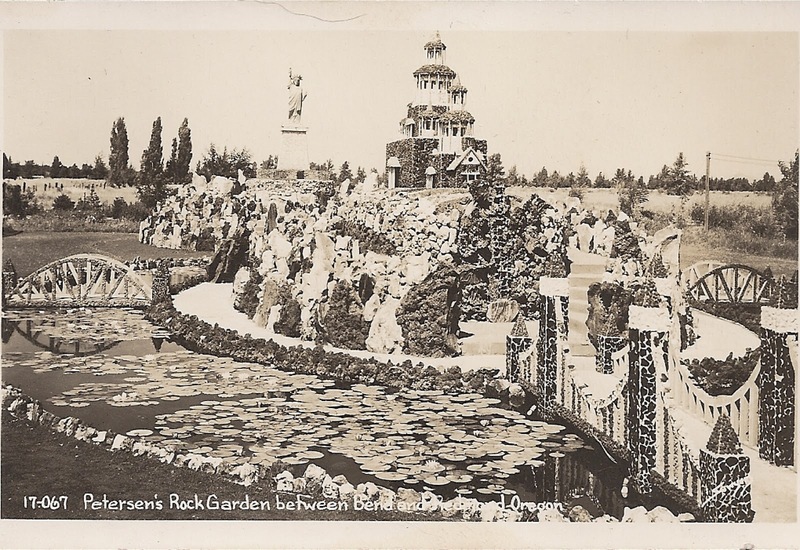 Come see the Petersen Rock Gardens Facebook page!